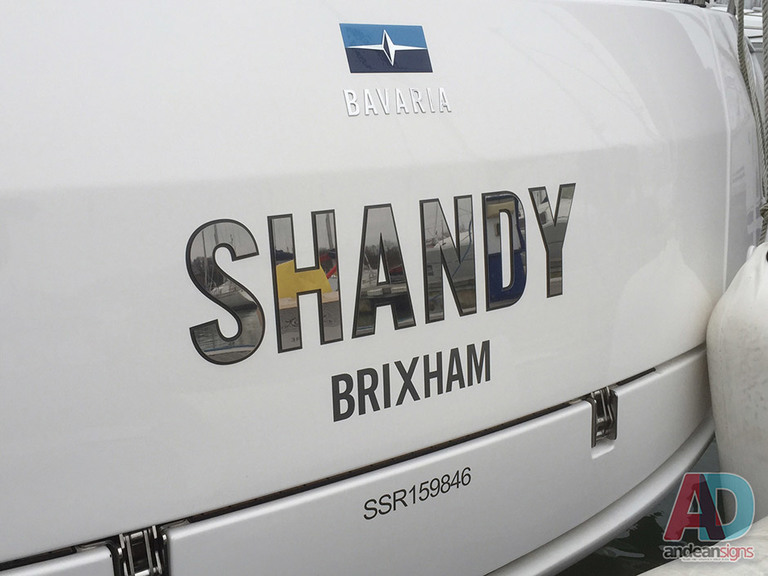 Vinyl lettering is easy to apply and will look great for many years to come. 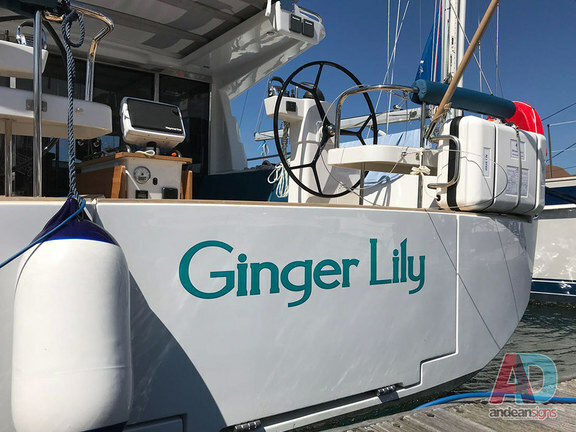 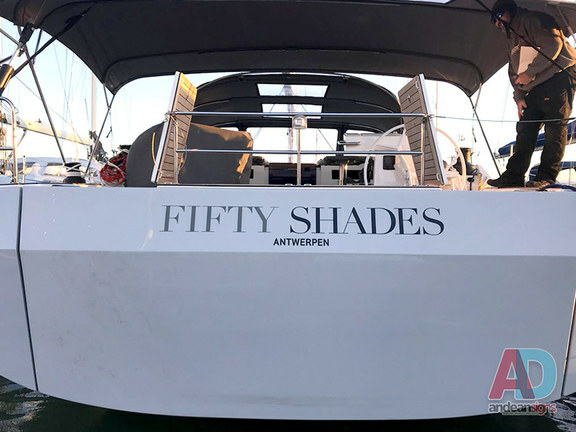 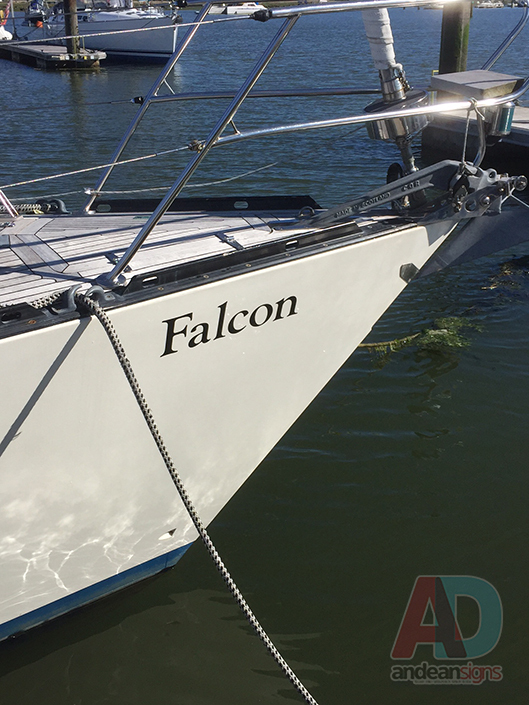 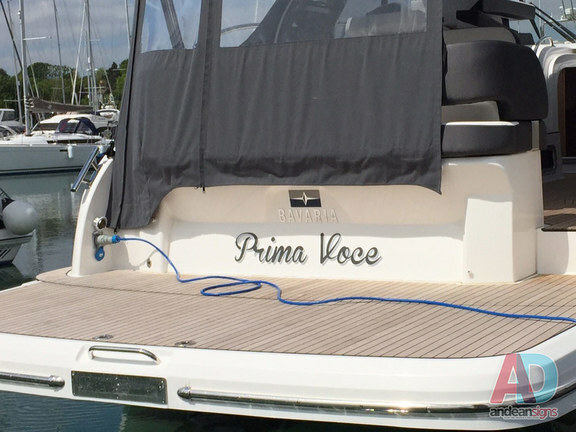 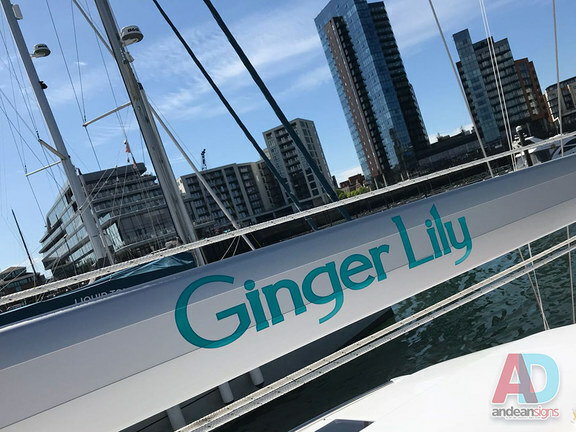 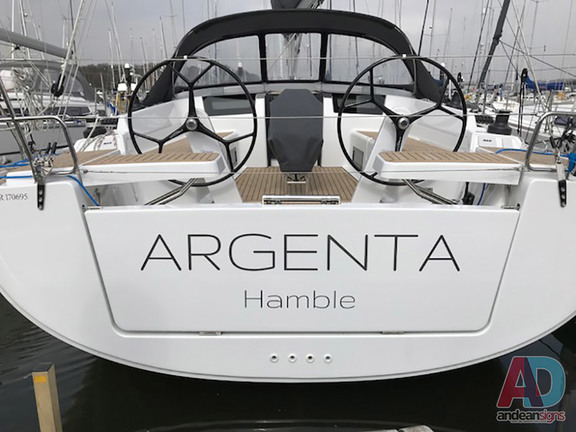 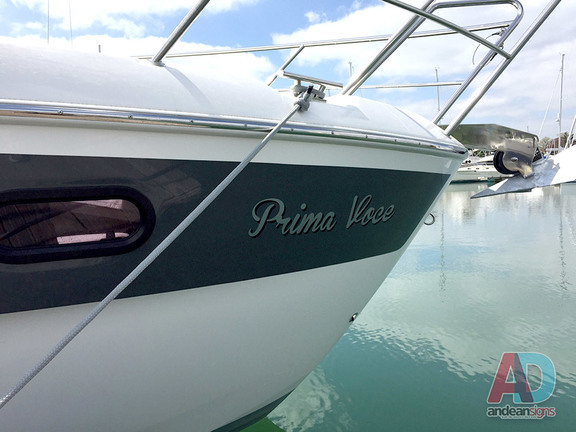 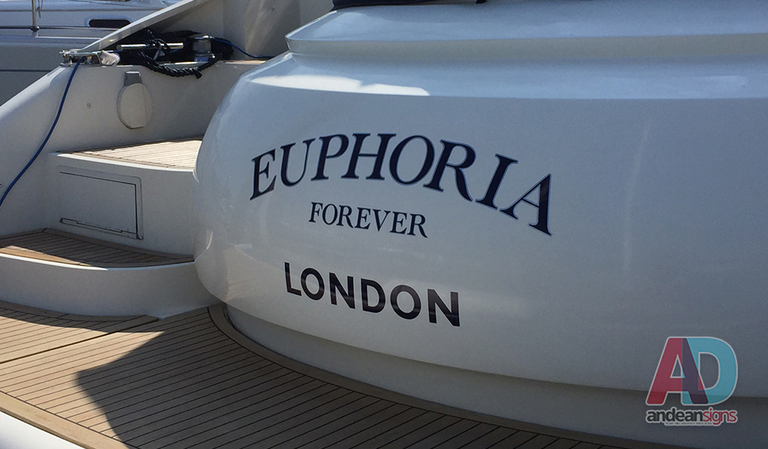 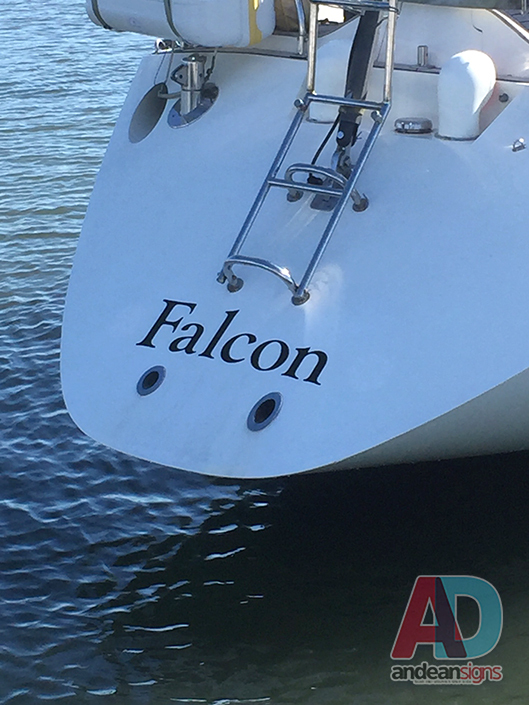 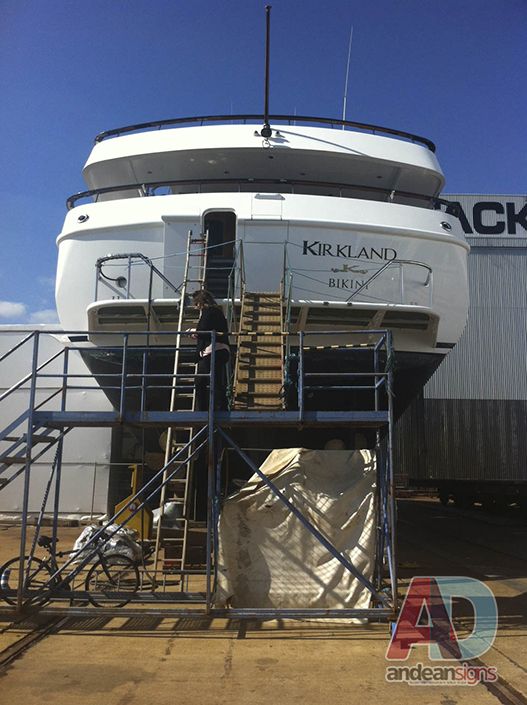 We can choose the right font for your boat name or if you already have in mind a font you’d like to use let us know. 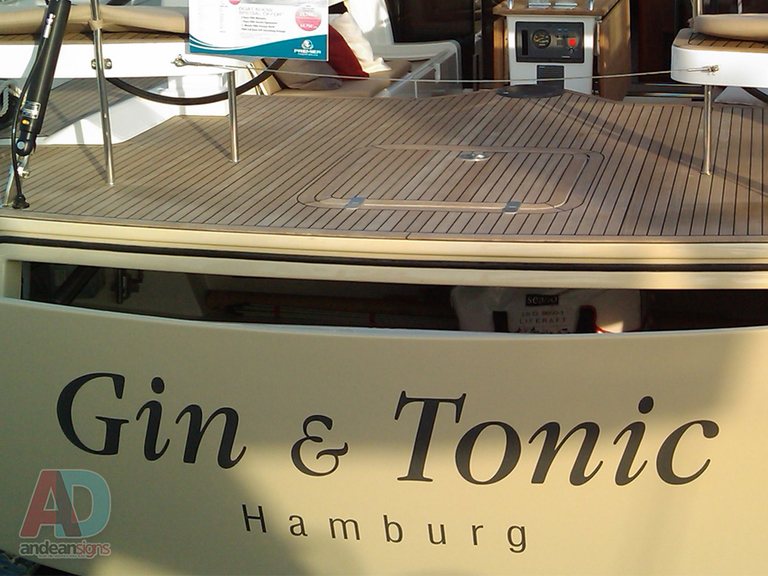 We can visualise it for you if you can provide photos with dimensions. 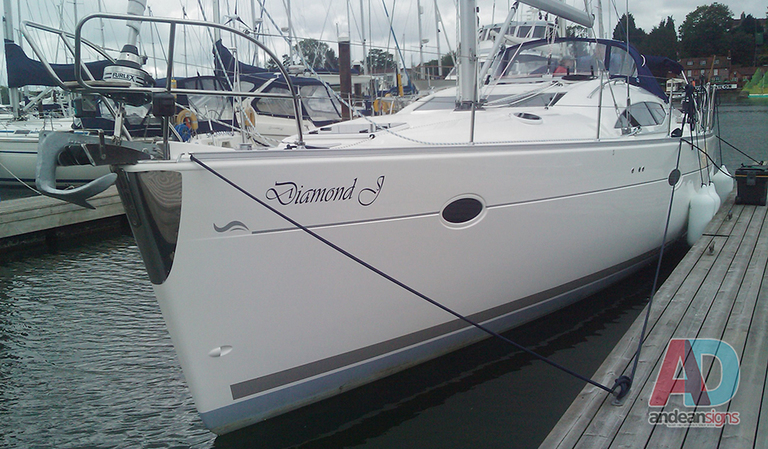 or if not, contact us for a quote.